To mark the commencement of Mawlana Hazar Imam's Diamond Jubilee on 11th July 2017, TheIsmaili Nutrition Centre is pleased to launch "Taste of Culture" - a celebration of our cultural diversity through the joy of food. Travel around the world with us, as we dish out food secrets from the locals themselves. From Dar-es-Salaam to Dallas, discover some of the most notable and mouth-watering local dishes that promise to make you a cultural connoisseur! Our next stop: Mumbai, India. Mumbai or Bombay, as it used to be called (and still is by locals! ), is where some of our Imams, including Mawlana Sultan Mohammed Shah resided. Located in the west of India, Mumbai houses a sizeable Ismaili population and where Mawlana Hazar Imam’s Takht-Nashini took place in 1958. Known for its pulsating energy, ‘the city that never sleeps’ has a vibrant food scene from its khau gallis or food streets, to food stalls on the beaches, to the roadside handcarts outside railway stations and colleges dishing out an endless variety of delectable local foods that promise to stimulate all your senses! Join us on a culinary journey to explore the best of Mumbai street foods. 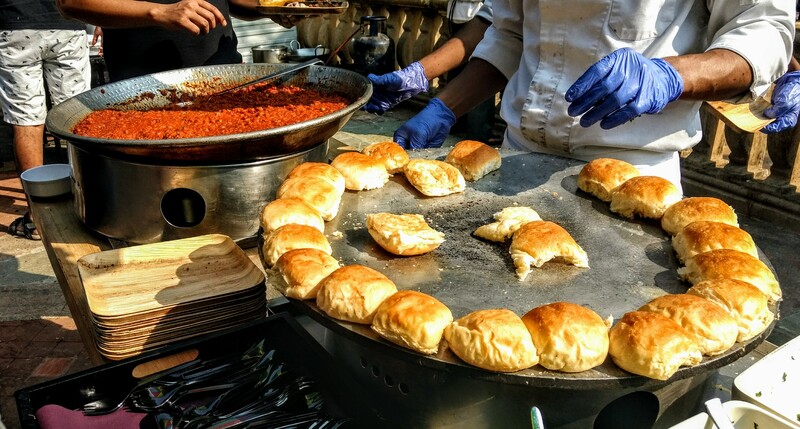 As the capital of Maharashtra state, Mumbai has its own distinct street food favourites like vada pav, usal and misal pav, among others. But the clear pack leader is definitely the humble vada pav or ‘Indian Burger’. The vada is a mashed potato dumpling, coated with gram flour batter and deep fried. 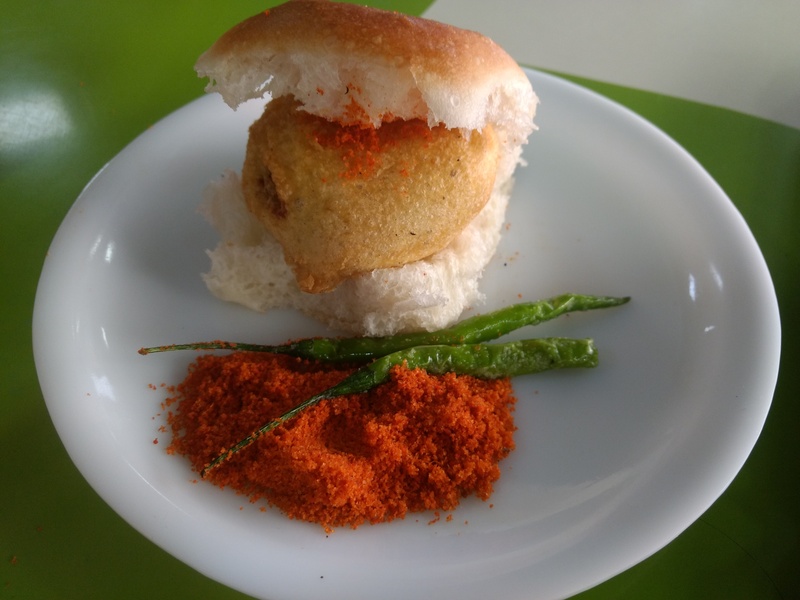 It is then placed in a pav (bread bun) slit halfway through and coated with spicy, green chutney, along with a garlic and red chilli powder mix. The mouth-watering "burger" is served with fried, salted, green chillies. 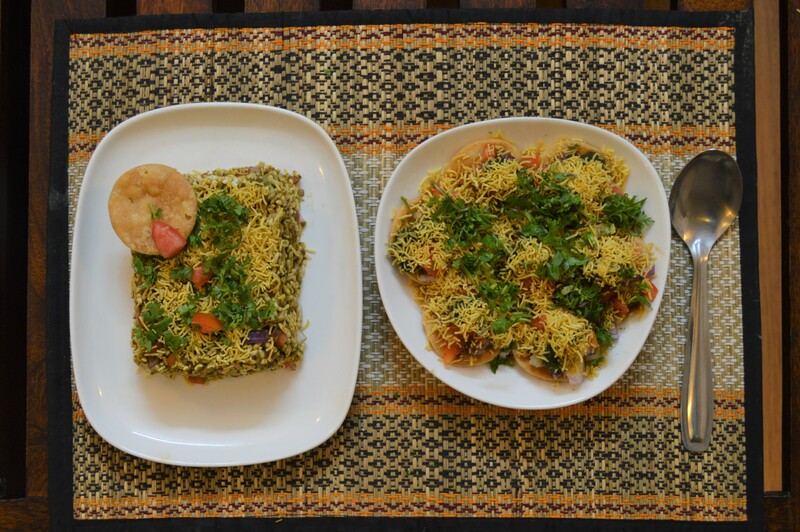 Alternatively, you can even have the pav with usal or misal-a – spicy peas or beans curry – accompanied with farsan (a mix of fried sev, roasted peanuts and beans), crisp chopped onions and coriander leaves, with a sliver of lime. This is a medley of mashed vegetables in a rich tomato gravy, seasoned in butter and a unique blend of spices. The bhaji (vegetable gravy) is garnished with chopped onions, coriander, a blob of butter, with a sliver of lime. This spicy bhaji is served with pav (bread buns) toasted on a tava (pan) with liberal amounts of salted butter. This recipe was once a staple for the mill workers and labourers who returned after the late-night shift, but soon, it found its way into the hearts and stomachs of the rich and poor alike! A bonus with this one is that the vegetables help to boost your intake of vitamins, minerals and fibre. But, be wary, because it can be heavy due to the abundant use of butter! The word ‘chaat’ means to taste or lick. It aptly describes how these tangy and spicy savoury dishes are best eaten with your hands, after which licking your fingers is traditionally an indication that your taste buds were satisfied! 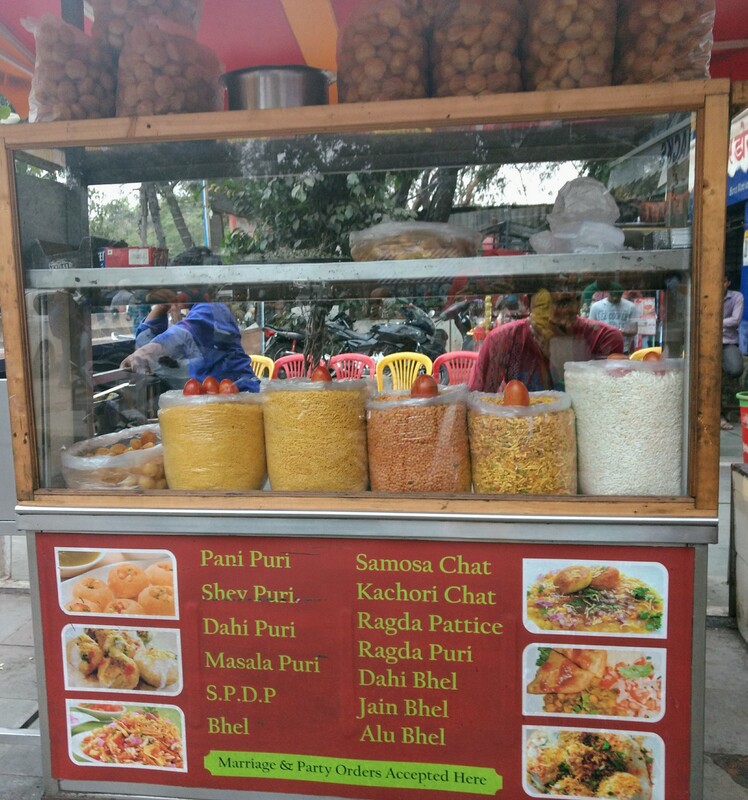 Chaat includes a family of dishes - panipuri, sev puri or bhel puri – with puri (or fried dough) as the main ingredient, along with chaat masala, mint coriander green chutney, tamarind and jaggery chutney, coupled with assorted vegetables like mashed potatoes, chopped onion and tomatoes or sprouts. All of these are mixed and matched in the different ways for each dish. For example, sev puri includes flat puris with a layer of mashed potatoes, chopped onions and chutneys that are garnished with sev and chopped coriander leaves, while bhel puri is primarily a mix of rice puffs, peanuts, other crunchy goodies and chutneys.The myriad of flavours in your mouth, sometimes sweet at other times sour and of course spicy, can be a sensory overload for first timers, but once you've had one from the family, we guarantee you'll be coming back for more! 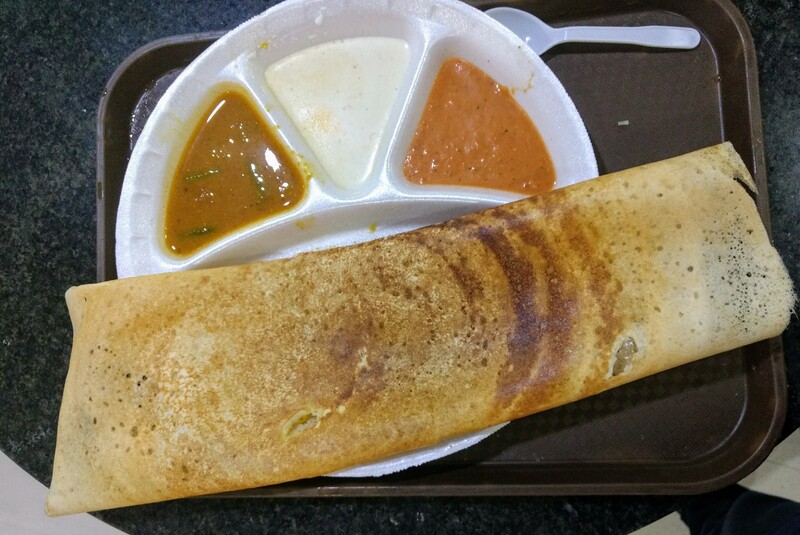 A fermented rice and urad dal batter is used to make the South Indian staples of idli (steamed mini cakes), dosa (crispy crepes) and medu wada (fried dumplings like donughts). 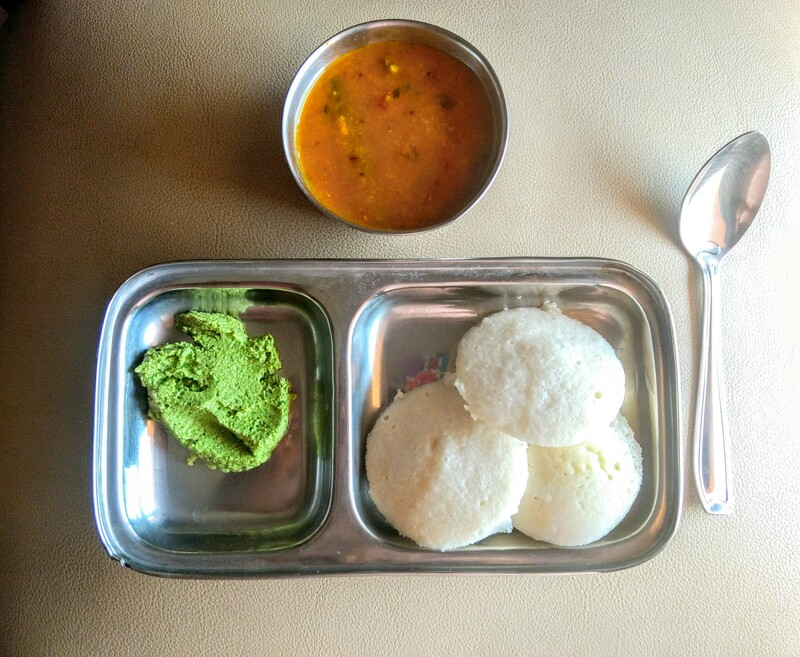 The trio are served with bowls of piping hot sambhar, which is a spicy, tangy lentil-vegetable curry and coconut chutney. These make for perfect healthy and nutritious breakfast and snack options, but most people eat them any time of day! It's especially nice to have if you're looking for a lighter meal. The Mughals ruled India in the medieval period and brought with them their cuisine of non-vegetarian delicacies marinated with aromatic spices that were cooked in tandoors. 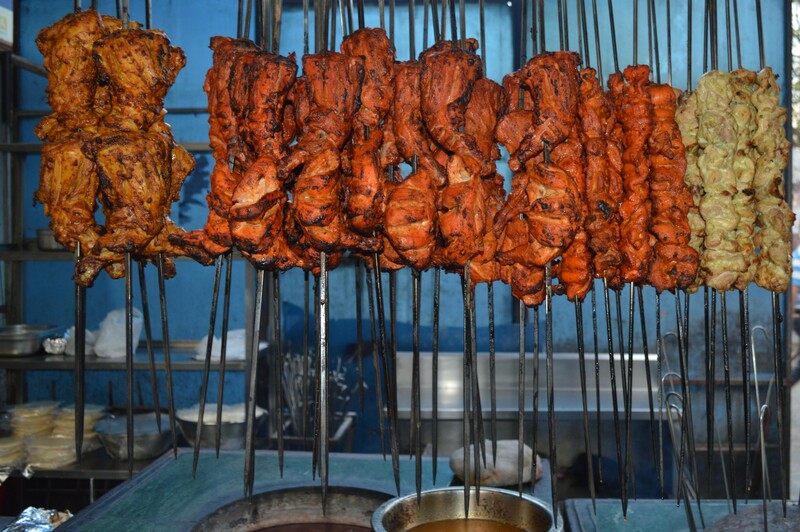 If you're a fan of dishes like Chicken Tikka and Kebabs, thank the Mughals! Especially during Ramadan, streets in Muslim-dominated areas in Mumbai are frequented for their spreads of assorted kebabs, kheema (minced meat) pav, naap chap (stuffed naan bread with ground meat), and so on. 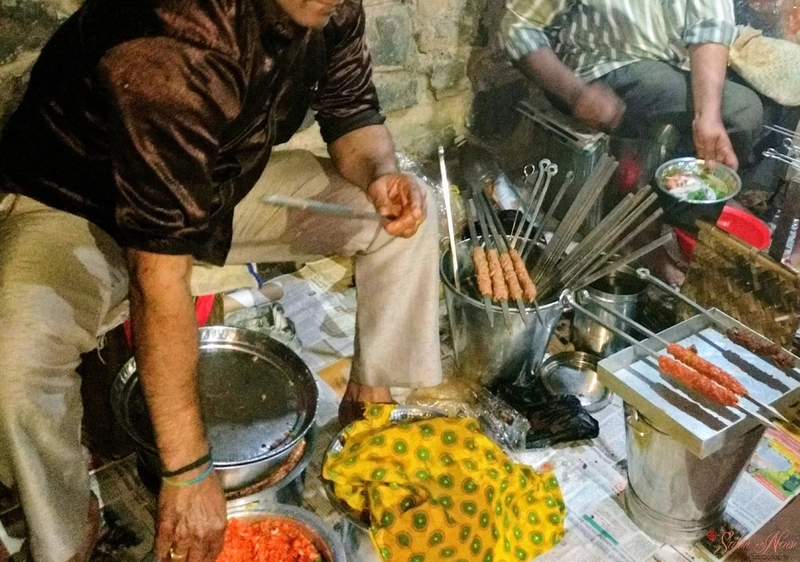 Makeshift tables and stools are put out from dusk to dawn, as foodies roll up their sleeves and savour these delicacies with accompaniments of spicy mint chutney, onions rings/kachumber and lime. If you're a meat-lover, nothing will satisfy your craving like a fresh, hot piece of juciy barbeque meat, oozing with spice and marinade. Although technically not a street food, but if you don't eat Khoja khana during your visit to Mumbai, then your trip is incomplete! 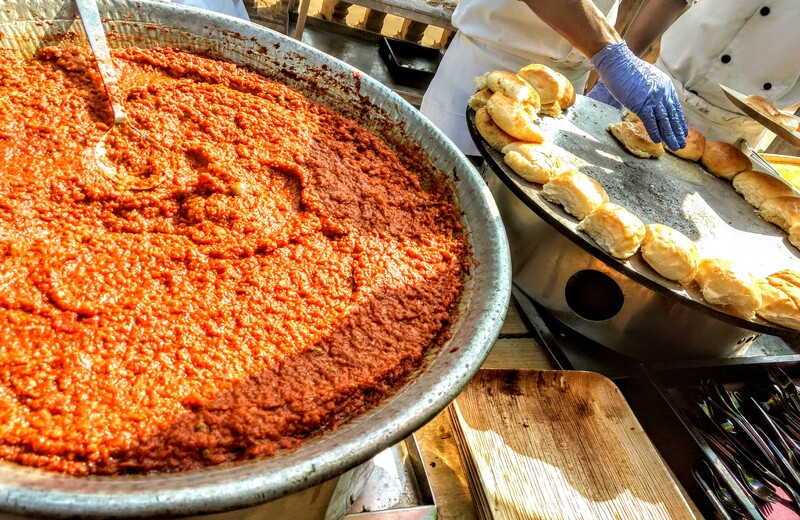 The Khoja Ismailis have their very own signature dishes like laal bateta, chana bateta, and others. 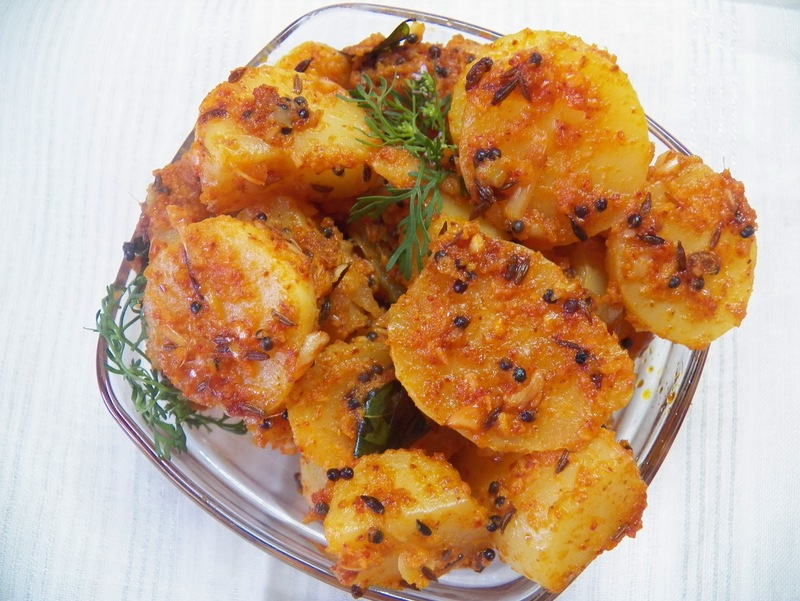 Laal bateta is a mouth- watering spicy dish where boiled potatoes are seasoned with a spicy red chilli paste, while chana bateta is a chickpeas and boiled potatoes mix that is served with kokum chutney and assorted spices. If you're lucky, you will spot some women entrepreneurs selling these outside jamatkhanas. Or, better still, this is your chance to befriend an Ismaili Khoja who will most likely happily invite you home and proudly feed you these recipes to your heart’s content! 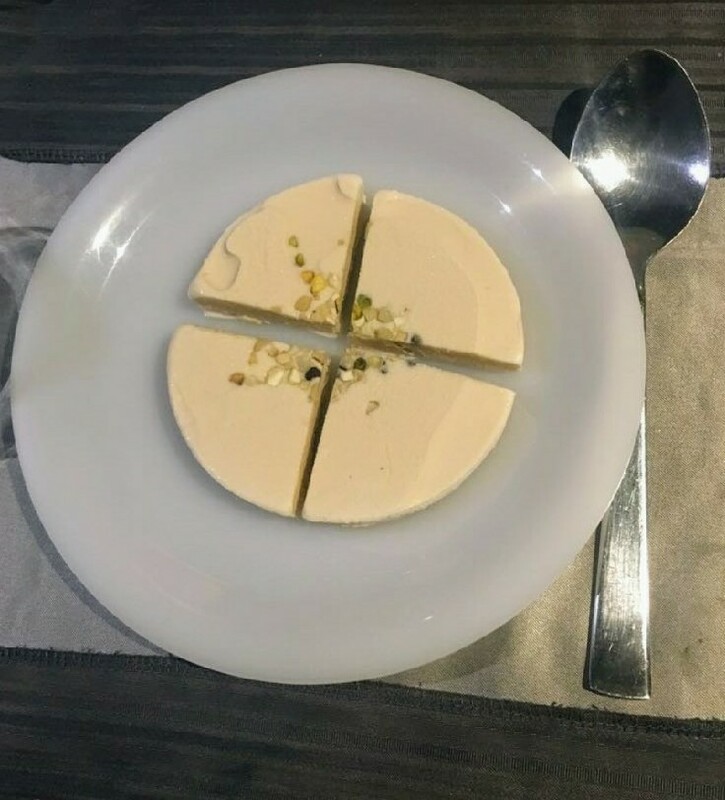 After eating the spicy street foods, you may be craving something sweet, and nothing fulfills that sweet tooth like kulfi- the Indian ice-cream or falooda- a cold dessert to cool off your flaming taste buds. Unlike ice cream, which has more air due to overrun, kulfi has more milk solids, fats and is richer. Falooda is a rich milky dessert and is served in a tall glass with a choice of syrup, vermicelli, sabja/basil seeds, dry fruits, jelly pieces and topped with an ice-cream scoop. Watch your portion size as these delicious desserts are hard to resist, and the calories add up quickly, so you may want to share these with friends! Don't have much of a sweet tooth, then try this lighter alternative. 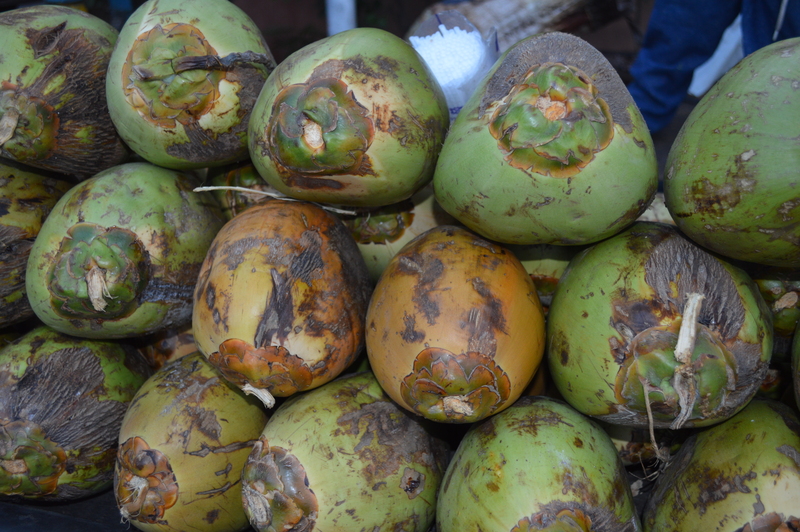 Nariyal Pani, or coconut water is a refreshing thirst quencher especially in the summers when temperatures soar. 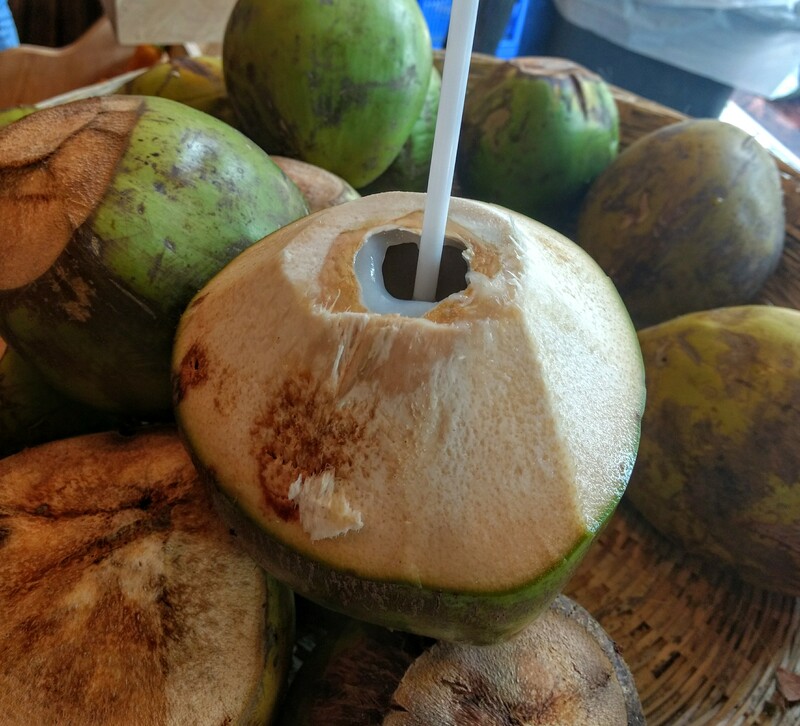 Part of the fun is also in observing how deftly the coconut is peeled with a sharp, iron sickle and a straw inserted to help you enjoy nature’s own oral rehydration solution - and it doesn't get fresher than this! Once you've gulped down the coconut water, the fun is not yet over! Make sure to relish the tender coconut cream or malai inside the shell. Watch the coconut vendor cut the coconut in half and slit some of the coconut outer covering to make a natural spoon for you to scoop out the cream/malai and relish it as it simply melts in your mouth! Finally, no South Asian meal is complete without a cup of traditional tea or chai! 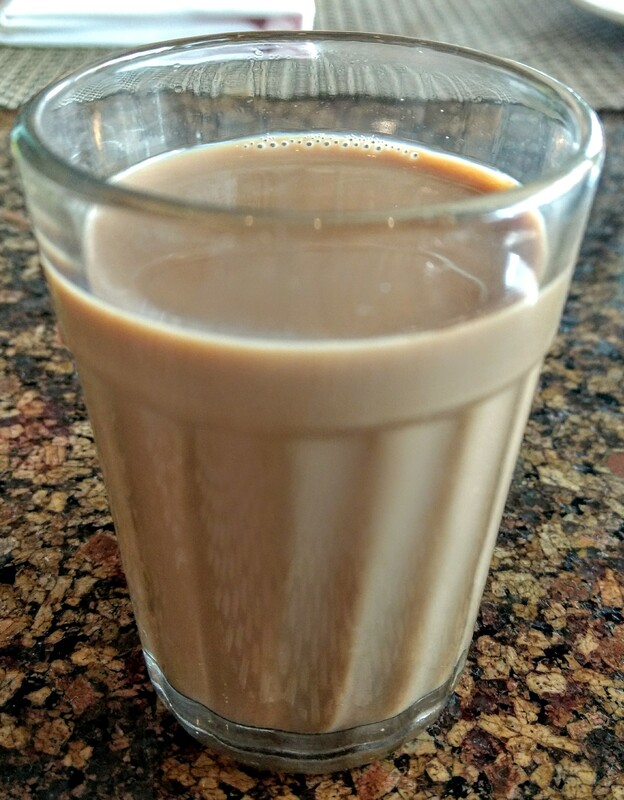 If there's one thing South Asians are addicted to, it's chai! 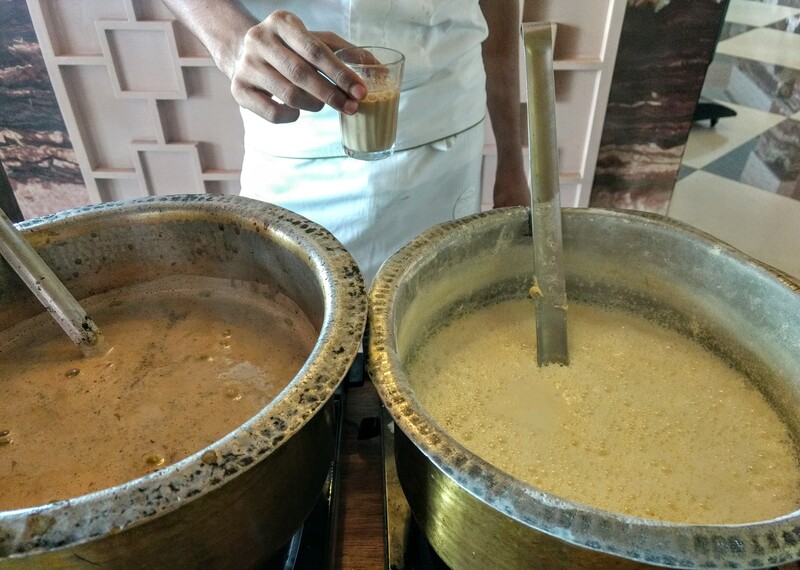 It is not unusual to be served ‘cutting chai’ which means ‘cut into half’ or half a glass of tea at a roadside ‘tapri’ or stall. Although it is half the amount of tea for half the price, this ‘kadak’ or strong chai flavoured with ginger, cardamom can refresh your senses completely, and give you just the right amount of caffeine boost! The chai is served in special small glasses and is enjoyed with biscuit or bun maska- a bread bun cut in the centre and generously coated with salted butter. Growing up in a joint family of 21 members in Mumbai, Shameera experienced how enjoyable and meaningful food was as a part of celebrations, life passages, and festivities. The cooking and feeding ritual now continues in her own family post marriage and children, with weekends spent checking out new, diverse cuisines in restaurants, cafes, and streets in an around Pune where she now resides.